Micheldever Tyre Serves is an authorised MOT test centre and can carry out an MOT test on your vehicle. Your vehicle must be in a ‘roadworthy’ condition and it is the law that every vehicle over the age of 3 years old has a valid MOT. It is a legal requirement that your vehicle must be tested on an annual basis. 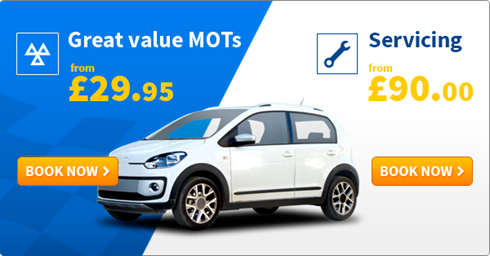 The first MOT on a car should take place when the vehicle is 3 years old – please note that this could be different if this has 8 seats or more and/or is a taxi. An MOT tests the important elements of your vehicle to ensure they meet the minimum legal requirements, you should continue to make sure that your car maintains this standard as a minimum at all times. Check your vehicles MOT due date here. Micheldever Tyre and Auto Services offering car MOTs serving the following areas Winchester, Andover, Basingstoke, Alton, Fleet, Camberley, Alresford, Newbury and the surrounding areas. Same day fitting available on thousands of tyres. For full information about MOT’s and to check when your vehicle is due an MOT please search here.